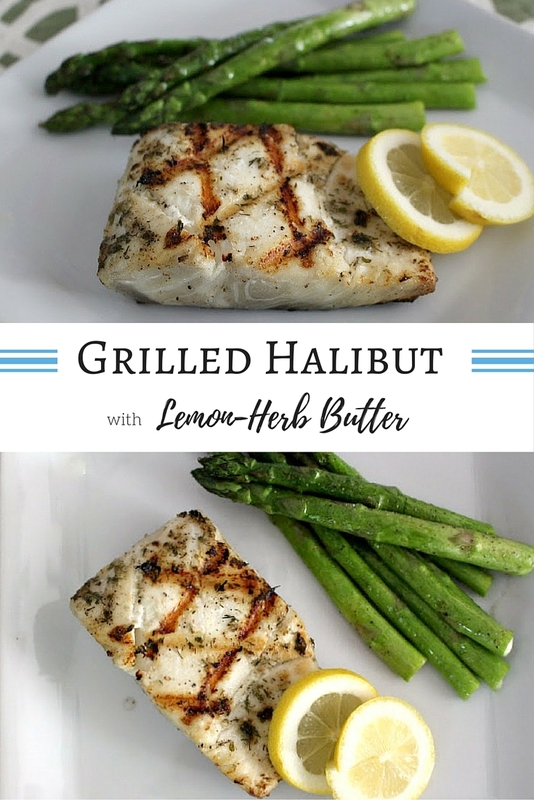 Halibut is the perfect fish for the grill. 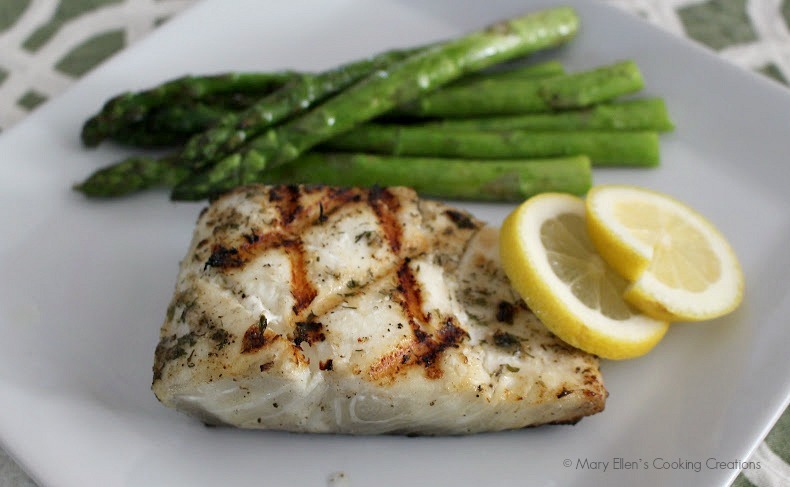 Like sea bass or swordfish, it is dense and firm so it holds up well when grilling. However, even though it is dense, when cooked it is light and flaky. 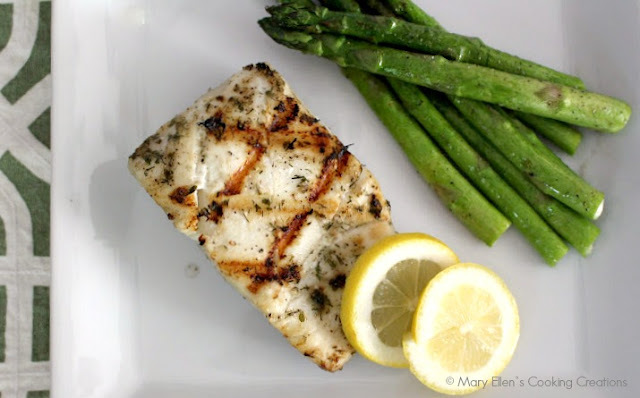 My husband could eat fish every night, but we usually stick to 1-2x per week. Last week he picked up some halibut and made a lemon-herb butter that was spread across the fish before grilling. 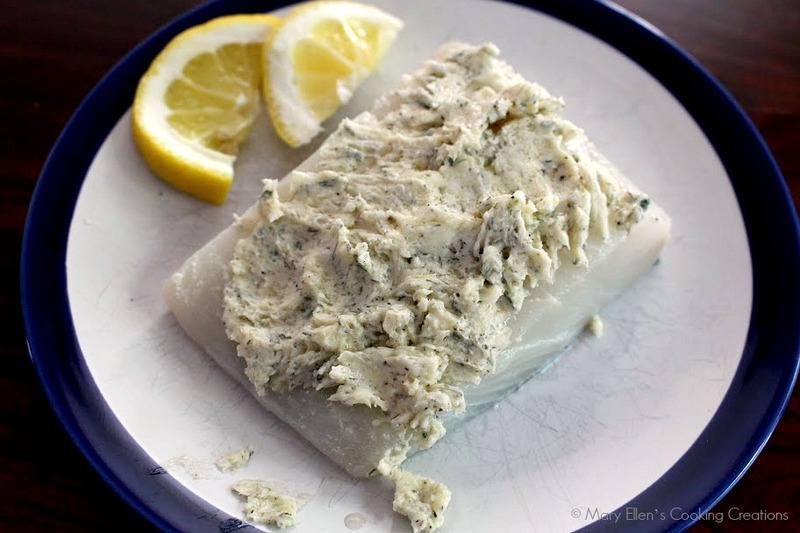 While the fish was grilling skin side down first, all of the butter melted into the fish. The bright lemon highlighted the light and fresh flavors of the fish, and the herbs were fragrant but in no way overpowering. Look how perfectly that fish flakes! 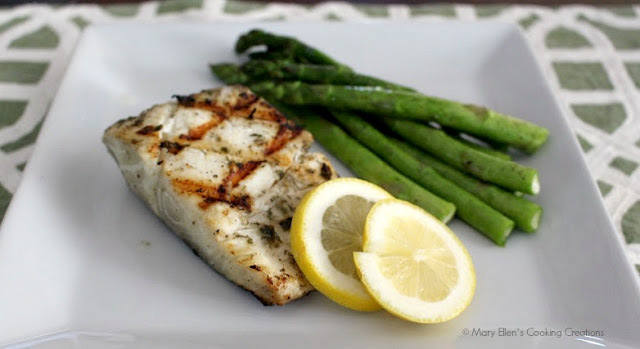 With some grilled asparagus on the side, this really was the perfect, healthy summer meal. Mix the softened butter with the lemon juice, zest, onion powder, garlic powder, parsley, dill, salt and pepper. 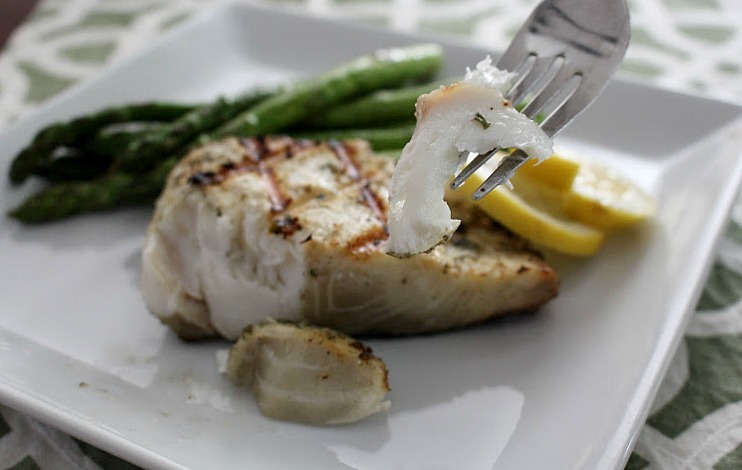 Cook until the fish flakes easily with a fork (skin side down first), about 5-6 minutes per side.